Thank you! But I can only take credit for putting it together, not for the healthy soup (thanks has to go to http://bluebirdsunshine.wordpress.com). Love the olive spiders – so cute! Great idea and great recipe! Thanks Elle. I think olive spiders are going to feature in a lot of my cooking from now on! Thanks so much for the mention. 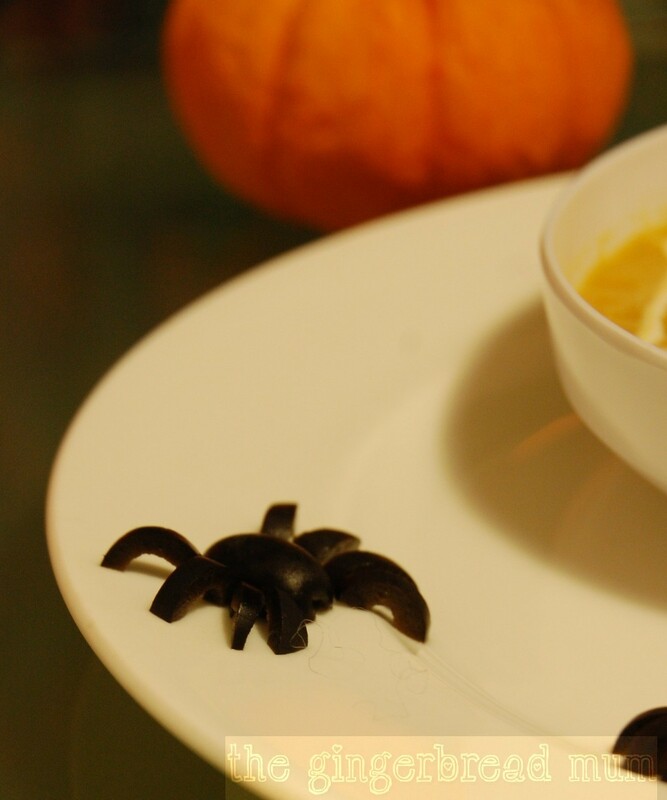 You’ve taken the soup and given it a fabulous Halloween makeover, it looks amazing. 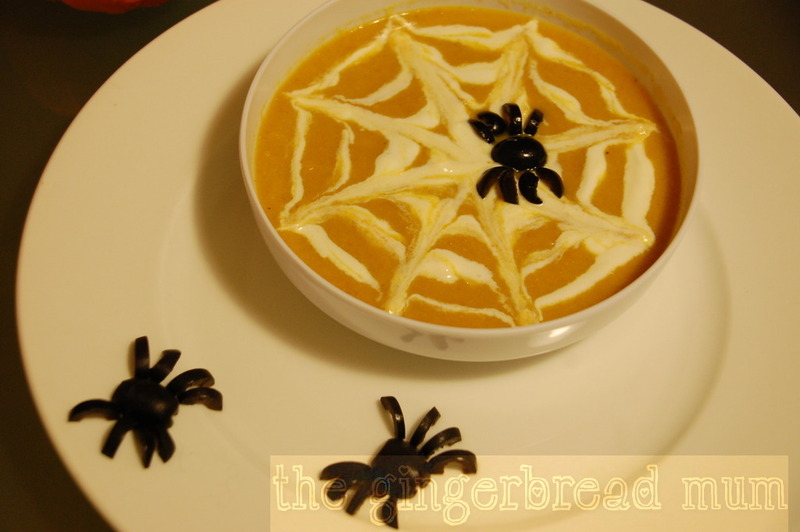 I’ll have to make it again now and do the decorations for my two, they will LOVE the spiders, they’re total olive fiends! I will have to try this with my 4 year old as Halloween is here. She’s a bit of a fussy eater, but loves when I decorate her food.